Photo © Enny Monaco, Kolonaki, Athens. Who said shopping is easy? 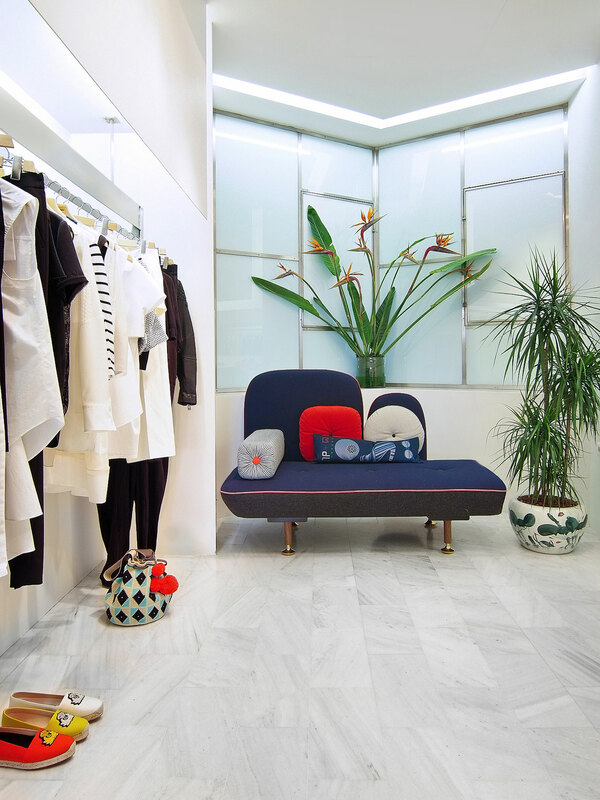 If you want to feel like a superstar, step inside Enny Monaco, a now legendary high-end boutique in Kolonaki, and simply enlist the help of a professional stylist! At Enny Monaco, a fashion expert is always on hand to introduce you to emerging designers, like Attico and Fausto Puglisi, to go along with the rest of your wardrobe, opening up a world of possibilities. Welcome to the new cool, where seasonless pieces reign supreme and women tend to invest in quality staples, peppered with a tight selection of showstoppers you can hand down to your children – or not! Who says a woman has to give up her right to admiration as she ages? Enny di Monaco knows a thing or two about the passage of time and how to make it work in your favor. First established in the upper-crust suburb of Psychico as a custom jewelry venture in 1989, it soon responded to customer demand for stylish clothes and accessories by opening a fleet of boutiques in Kifisia, Glyfada and Mykonos, in addition to the Kolonaki flagship. Moving with the times, Enny Monaco has shifted in tune with the fashion industry, mindful not to leave its faithful customer base behind. If there’s one thing that has remained a constant in its trajectory, it’s the ability to stock designers who provoke emotional responses. Alaia, Aquazzura, Balmain, Christian Louboutin, Giambatista Valli, Roland Mouret, Zac Posen, Gucci, Carolina Herrera, Gianvito Rossi, Εlie Saab and The Row are all part of its fashion arsenal, consistently making our lives a little easier. A well-edited wardrobe means you never have to think about getting dressed again, as anything you reach for is guaranteed to make you look great! Photo © Enny Monaco, Mykonos, Greece.